Hello guys, I have said many times that a good knowledge of Data Structure and Algorithms is the first step towards becoming a better programmer and that's why I share a lot of Data structure and Algorithm stuff in this blog. To continue the tradition, I am going to share an interesting algorithm today, The Sieve of Eratosthenes algorithm, which can be used to generate prime number up to a given number. There are many occasions when you need to generate all prime numbers up to a specified integer and one algorithm which is most often used to generate prime numbers is the Sieve of Eratosthenes Algorithm. Surprisingly, not many developers know about this algorithm, particularly Java programmers, which is mainly because not doing enough competitive programming. Sieve of Eratosthenes is an ancient Greek algorithm to find all prime numbers up to a given number and named after the famous Greek mathematician Eratosthenes. He was the first man to calculate the circumference of the earth and also known for working on calendars with leap years. If you don't remember, a prime number is a whole number which is either divisible by 1 or itself like 2, 3 and 5. You can see they are not divisible to any positive whole integer. In other words, a prime number doesn't have a factor other than 1 or itself. You can use this algorithm to generate prime numbers from 1 to 100 or up-to any maximum value. In this tutorial, you will not only learn how Sieve of Eratosthenes algorithm works but also we will generate prime numbers using this algorithm and verify whether all number generated is actually prime or not. Btw, if you are new to Algorithms and Data Structure, I suggest you go through a good, comprehensive online course like Data Structures and Algorithms: Deep Dive Using Java to learn the basics and brush up the fundamentals. It's both comprehensive and affordable as I bought this course on just $11 on Udemy flash sale. 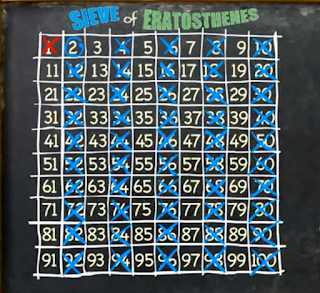 The Sieve of Eratosthenes algorithm is quite simple. You create an array of larger than 1 by a specified integer, so that index of the array represents the actual integer stored on it. Then you start with 2 because 0 and 1 are not considered prime. A prime number is either divisible by 1 or by itself, it doesn't have any other factor. Since 2 is a prime number, we mark this as prime and cross out all its multiple because they won't be prime, Why? because prime numbers don't have any factor other than 1 and if a number is multiple of 2 it means it is divisible by 2, hence not prime. In order to cross all numbers which are multiplied by 2, we just skip our array counter by 2, which means 2, 4, 6, 8 all are multiples of 2 and they will be crossed. Next number in the array is 3, now 3 is also not divisible by anyone so its a prime and we mark it as prime and again crossed out all multiples of 3 because they won't be prime. In order to cross out multiples of 3, we skip array counter by 3, which means 3, 9, 12, 15 all are crossed. Now, Next number is 4 but it's already crossed because it was multiple of 2 so we skip to the next number which is 5. Again 5 is a prime number so we mark it as prime and cross out all numbers which are multiples of 5 because they won't be prime as they are divisible by 5. In order to cross all multiples of 5, we just increase array counter by 5, so numbers like 10, 15, 20, 25 will be crossed out. We continue this process until we reach at the square root of a given number because every multiple in the array has a prime factor that is less than or equal to the square root of the given number, so we don't have to cross out multiples of numbers larger than that root. For example, in order to find all prime numbers between 1 to 100, it's enough to check until 10. If you are interested in learning more about such Algorithms, I also suggest you check out Algorithms and Data Structures - Part 1 and 2 on Pluralsight. Another awesome online course on Algorithms. Btw, you would need a Pluralsight membership to access this course, which cost around $29 per month or $299 per year. If you don't have the membership, you can still access this course by using their 10-day free pass which allows 200 minutes of access to their 5000+ online courses on the latest technology, worth trying. * until there are no more multiples in the array. // multiples of numbers larger than that root. * for generating prime numbers upto a given integer. 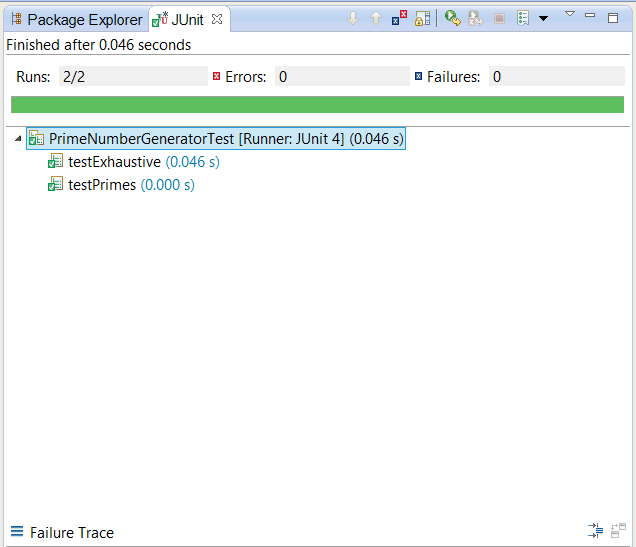 That's all about how to generate prime numbers up to a specified integer using Sieve of Eratosthenes algorithm. This is a very efficient algorithm to generate a large number of prime numbers and can be used to solve complex programming problems where you need an array of prime numbers. A much more interesting problem to solve with this algorithm would be: find the first N prime numbers, rather than finding all prime numbers up to N.
* Stream of Int starting with "n"